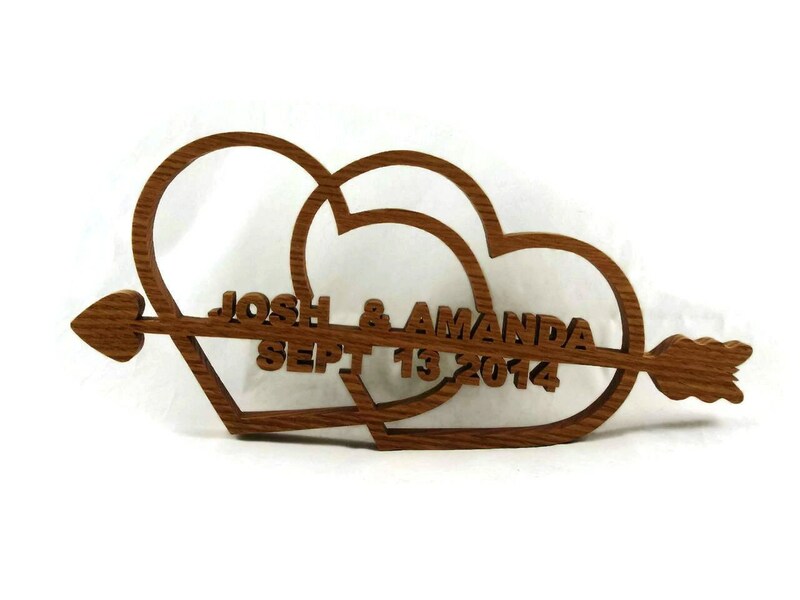 This is a Custom listing for a Custom Personalized Wedding/Anniversary Hearts with Names and Date. 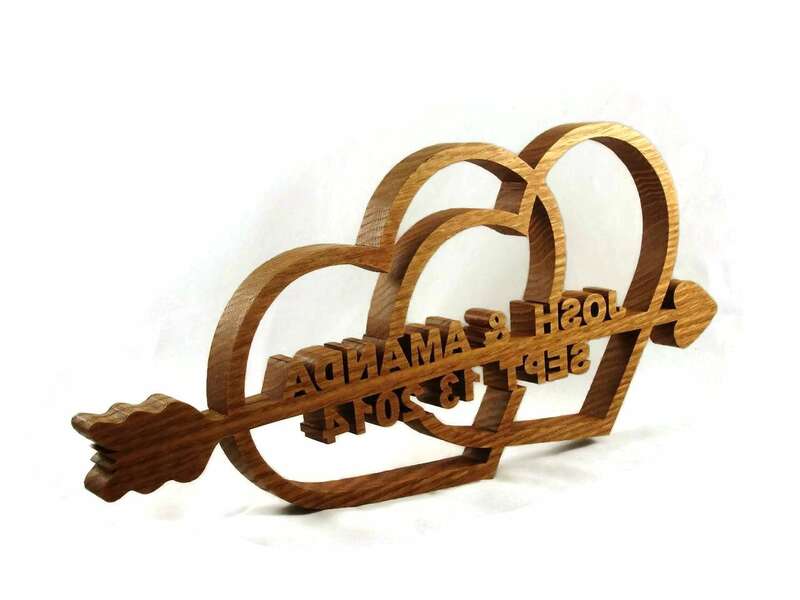 This is handcrafted using a scroll saw from a solid wood board. 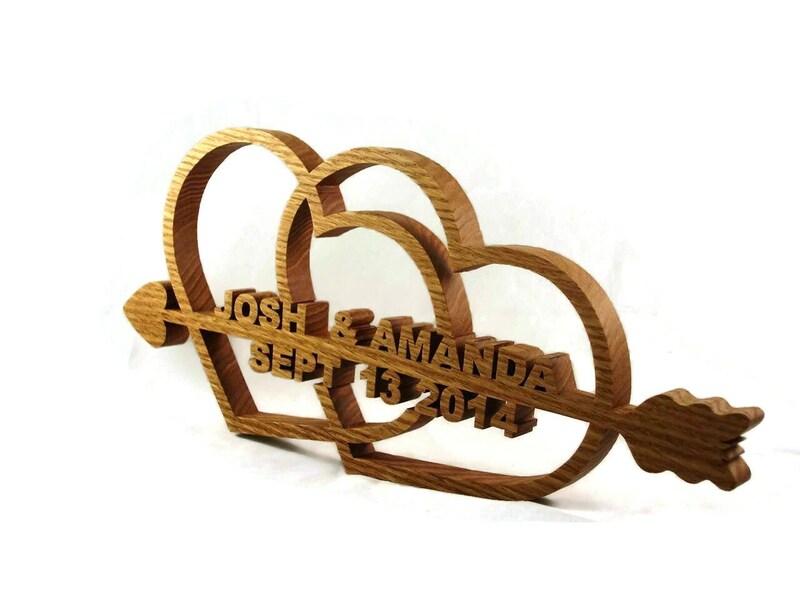 I normally make these from 3/4" thick Oak. They can be made from other types of wood including some exotic woods but, please contact me first for other types of wood as the prices would be different. 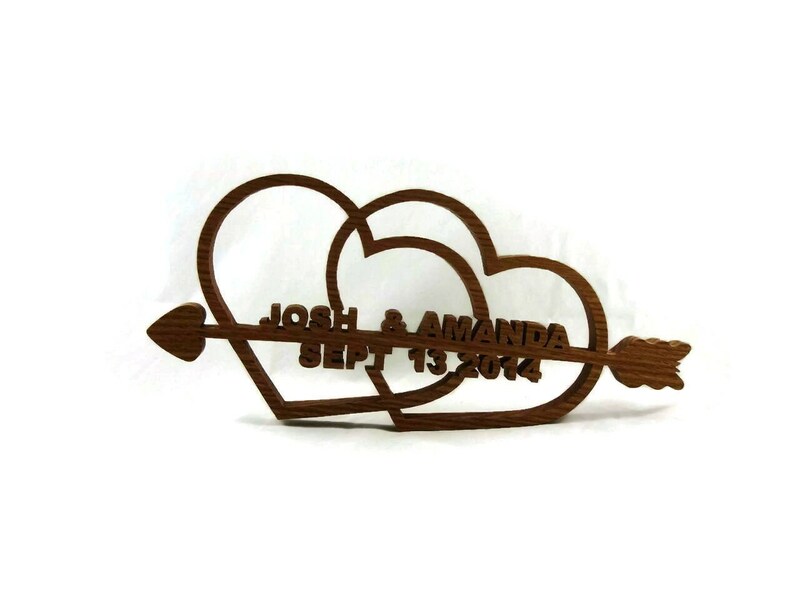 These make great gifts for weddings and anniversaries. Beautiful home decor with a meaning. The size of these vary due to length of names etc but most are between 12" - 15" Long and about 5" - 8" high. NOTICE: Due to these being hand made as ordered please allow a minimum of 2 weeks before I can ship them, during busy times it could be slightly longer time delays. Hearts Not Your Thing??? I do have some other type patterns such as Wedding Bells, Cross's, Rings etc. 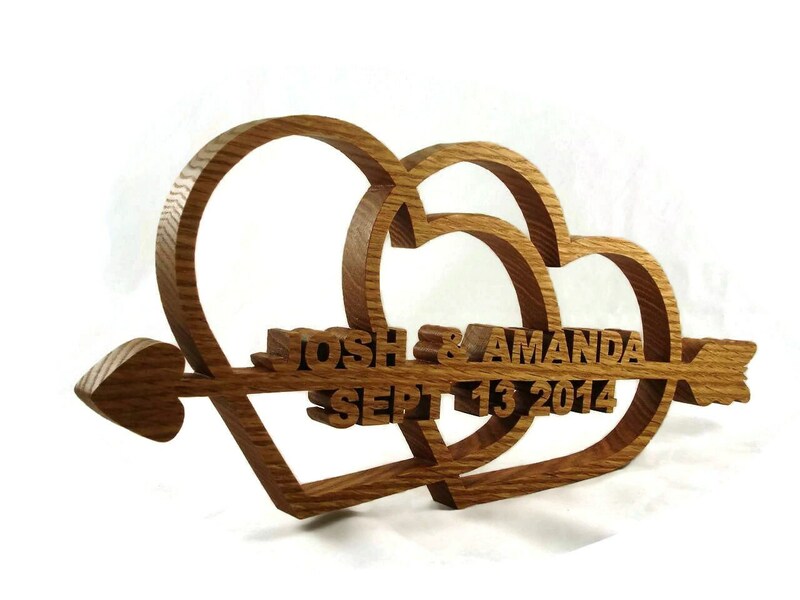 that are also great gift ideas for Weddings and Anniversaries.